Welcome to part one of my Back to Basics sewing series.Choosing a Sewing Machine; it's a subject that pops up on sewing forums often, and one I get asked about pretty often too. Do you want to learn to sew? Are you an experienced hobby seamstress that wants to upgrade? How often do you intend to use the machine? What are you planning to sew? Soft furnishings? Childrens clothes? Quilting? All of those and more? Answer these questions honestly. 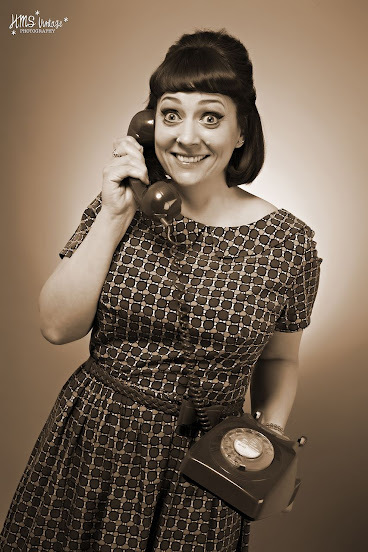 Do you really need hundreds of stitches, or will you realistically only use the basics? Most modern machines come with an array of stitches . I remember at school we were told all we really needed was a straight stitch, but a zig zag would be nice.That's still true. If you've inherited your grandmothers machine that only does straight stitch, it's still possible to make beautiful clothing and home furnishings etc, it just means you'll have to work harder on things like neatening seams, and you'll have to learn to do your buttonholes by hand, a skill worth having anyway. I am actually on the look out for a very basic hand powered machine to take to craft fairs with me, so I can sew at my stall. Those types of machines are also fab for teaching younger children to sew. 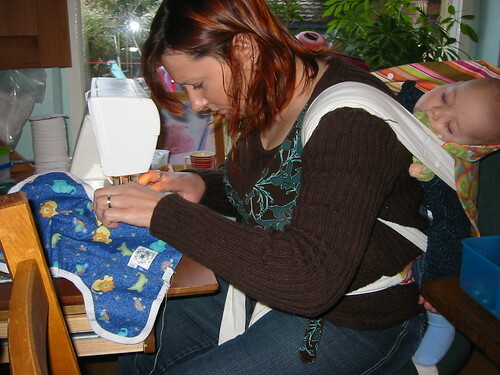 This is me hard at work back in 2005, stitching nappy wraps on my Husqvarna Lily. You also need to decide on your budget. You don't have to have a huge budget to get a very good machine that will last you many years, but you might have to consider buying second hand. Ideally you should visit your local sewing machine shop, sadly this isn't as easy as it once was, but there are a few specialists still around, and often they have reconditioned machines for sale as well as sometimes offering very good trade in deals on old machines. I have a good friend who raided her inlaws garage for an old machine to trade in for a machine she'd been longing for. 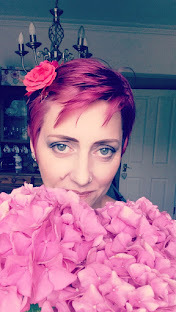 Most people who ask me about choosing a sewing machine have probably not used one since they were at school and want to make clothes for their children, and perhaps a few soft furnishings. They don't know yet if sewing is going to become a big part of their lives or just a handy string to their bow. Usually, I would say to these people that unless money is of no issue then sticking to a budget of around £50-£100 can get you a good machine suitable for all your needs for a very long time. For this kind of budget you can get a basic machine made by one of the larger manufacturers, or you can (with a bit of research) get a jolly good second hand machine, either from a local sewing machine shop or from an auction site like Ebay. Ideally you'd try out any machine before you buy, obviously that isn't usually possible if buying from an auction site, but certainly is, or should be if buying from a dealer or department store. Take along a few scraps of the kinds of fabrics you think you'll be sewing most, some lightweight, some heavy, see how each machine copes with each fabric. I'm wary of recommending specific machines here, I can tell you that I've been very happy with my 1970's Singer, my Husqvarna, my Brother Overlocker, and the basic Brother machine I bought for India. Brands I would consider if buying new are, Husqvarna, Bernina,Janome,Brother, Juki , and second hand, all of those plus vintage Jones, New Home and Singer. I personally wouldn't buy a new Singer. Finally I wouldn't recommend buying a bargain machine from any of the super low priced bargain supermarkets, even if they seem to be a good brand. I fell for this a few years ago and bought India a bargain machine, the timing went on it the second time it was used, a problem that simply was not worth fixing on such a poorly constructed machine. The cost of repairs would've been more than replacement. I did not like taking that machine to the recycling centre, and was most disappointed to see a whole pile of them waiting to be shipped off to who knows where to be dismantled and recycled. What a horrible waste! Just a couple of weeks ago I was in one of these supermarkets and they had a sewing machine on sale, a brand most people would recognise, priced around £85. I don't think that would be money well spent. Obviously I'm speaking here from my own experience, always happy to hear of others opinions and experiences. Tell me, what was your first machine? Do you still have it? More importantly, would you recommend it? 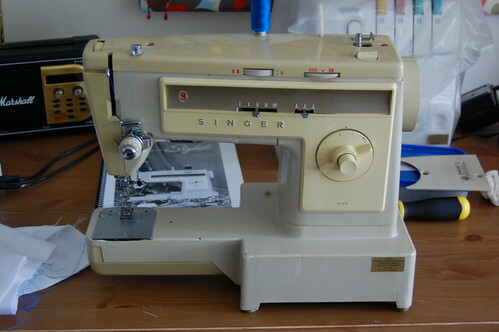 I've still got my first machine - a 1980's New Home in a cupboard- but I learnt to sew on a black singer - mounted in a table with a huge motor, I'm not sure if it was made as an industrial machine but it could sew though anything and only had straight stitch. My pet machine is a 1950s Singer featherweight - a dainty little machine that purrs along and has a beautiful straight stitch. It does worry me how many new sewers are discouraged by buying a super-cheap machine that doesn't work and they give up in frustration. I still have my first machine, a lovely vintage Electric Singer. It was my Mum's first machine bought by her Dad for her 18th birthday. I am ashamed to say I've never learnt to use it. I read your blog in awe most of the time LOL. I agree about the bargain machines. I bought a Brother machine for £49 from Pounstretcher and it lasted less than 1 year. I went for it because I was learning and didn't want to spend a fortune on something I may not keep using. I ended up buying a better one which is actually easier to use and so I am more encouraged to pull it out and try sewing. Good advice here Jeanette. I was given an early electric Singer (I think this model comes in a treadle design and electric). It weighs a ton but is delight to use. It's smooth and reliable. I'm not sure I'll willingly part with it even though it can only do straight stitches. My mum also picked up a little Janome one (it would fit in a reasonable sized handbag) for £7 in a charity shop for me. It can't handle the heavy duty stuff but I use it for hems and small projects- great for the kids to use as it only has one speed! and it can do zigzag stitches. I have one other machine that lives in the attic (can't remember the make!)... it has been passed around at least three other people and none of us has enjoyed sewing with it! I may just hang on to it to trade in for a machine for my girls- hadn't thought of that before! My machine is an old one too. 70s/80s green metal singer machine. And it's not even mine, it belongs to a friend who has kindly let me use it for the last couple of years. I'm hoping she doesn't ask for it back. I don't do anything fancy with it though. Made some prefolds from old t-shirts before bub arrived, and am making cloth books now, so straight and zigzag is all I use and need. you should have taken that sewing machine back as it was obviously not fit for purpose and didn't last a reasonable length of time as the law says it should. You don't even need the receipt, you can use a bank or credit card statement as proof of purchase.